TORRINGTON - Torrington Savings Bank has hired John Scarritt as its vice president of commercial lending. Scarritt comes to Torrington Savings with over 15 years of community banking experience. Most recently, he has been working with Central Connecticut owners of companies of all sizes to help them with their commercial loan and deposit product needs. 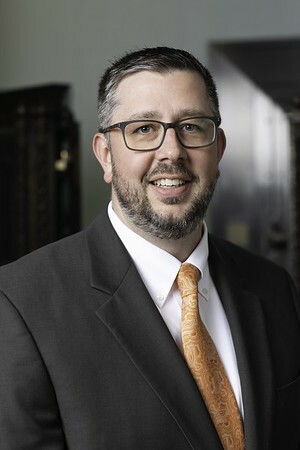 In his role at Torrington Savings Bank, Scarritt will continue to help businesses with their business banking necessities. Initially he will be based in the Burlington office at 260 Spielman Highway (Route 4). His responsibilities mainly be in the Farmington and Bristol areas. Scarritt is a graduate of Central Connecticut State University in New Britain, where he earned a bachelor’s degree in business administration, concentrating in marketing. His additional achievements include the 2015 New Leader in Banking Award from the Connecticut Bankers Association. Born and raised in Bristol, Scarritt has been involved in various capacities with several community organizations, including the United Way of Central Connecticut, the Main Street Community Foundation, Bristol Boys & Girls Club and the Environmental Learning Centers of Connecticut. He now lives in Farmington. Posted in New Britain Herald, Business, General News on Thursday, 9 August 2018 21:00. Updated: Thursday, 9 August 2018 21:02.